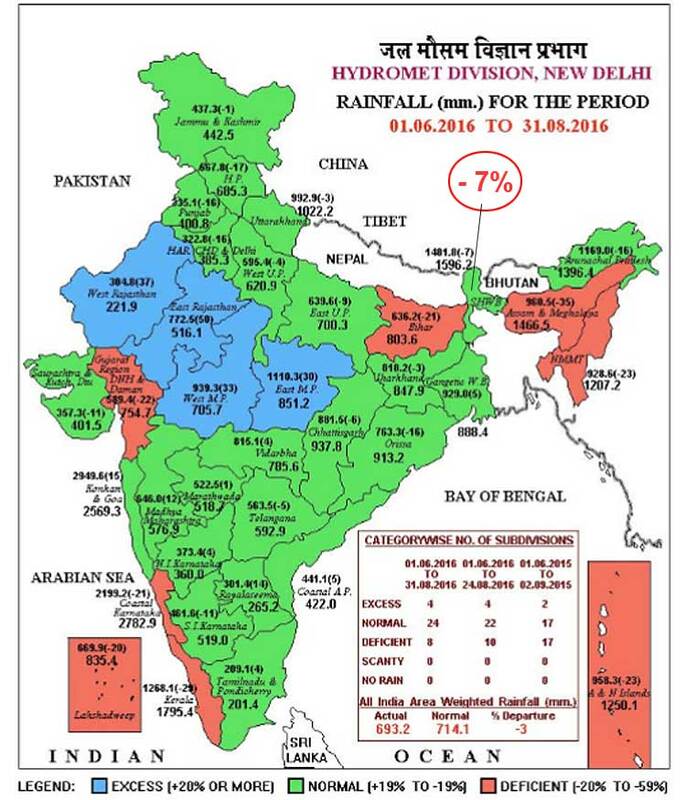 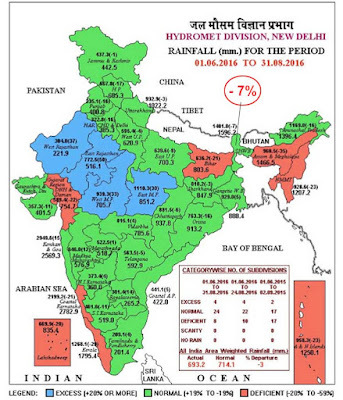 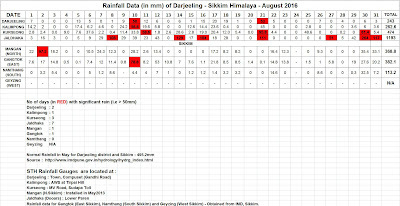 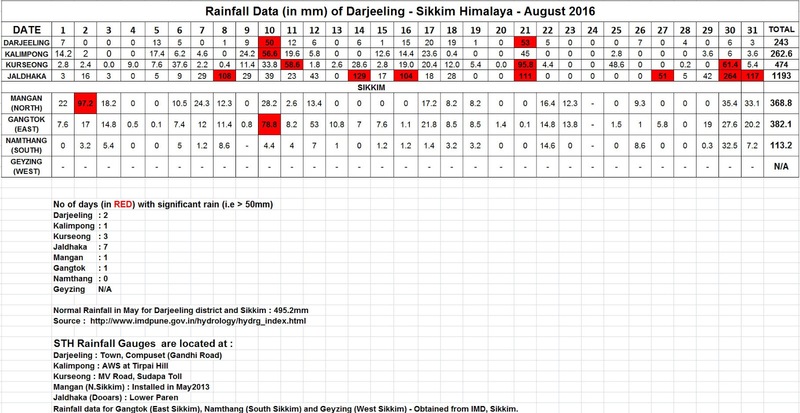 A number of low pressure areas developed in the Bay of Bengal in Aug 2016 but we received little rain from these systems and went deficient in rainfall from the first week till the end of the month. 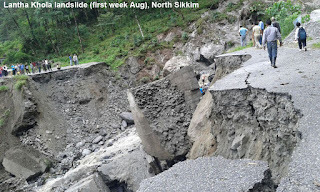 Early in Aug 2016, what has been described as local event dumped 95mm of rain on the Chungthang-Mangan highway at Lantha khola, it caused a major landslide which breached the road. A photo of the same is placed below.